There may not many Norwegian groups that represent such opposite poles as the trios Ich Bin N!ntendo and Monkey Plot - even though these Oslo-based groups share almost the same-line-up. 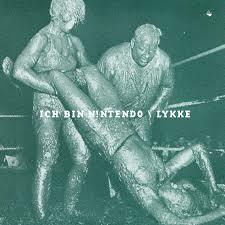 The third album of Ich Bin N!ntendo - guitarist and for the first time vocalist and lyricist Christian Skår Winther, bass player Magnus Skavhaug Nergaard, both also play in Monkey Plot, and drummer Joakim Heibø Johansen, who also plays in another power trio, MoE - marks a shift in this power trio music. The trio leaves behind its explosive, noisy immersion in free jazz, following the ‘free the jazz’ raison d'être of sax player Mats Gustafsson, who collaborated with the trio on the self-titled debut album (Va Fongool, 2012). Now Ich Bin N!ntendo explores now the outer, sharpest rims of post-punk, post no-wave songs. Fortunately, Ich Bin N!ntendo's excessive electric energy, the urge to improve and the tendency to kick corporate moneymaker, as the name of the trio suggestions, are still intact. In this incarnation Winther plays fast, brutal guitar riffs that sound as crisscrossing between early Talking Heads and The Ex while Nergaard and shouts-howls the lyrics and Johansen offer much aggressive and wilder rhythm section, eventually all three end each song in a cathartic chaos. Sometimes, such basic, dirty and almost primitive interplay is more than enough. The addictive grind of “Body” and “Hyper Sensitive” leaves no option but to move and the violent dissonances of “Growth” or the rolling pulse of “Planes Are at Least Honest” will push you even harder. Even when Ich Bin N!ntendo slows down on “Looks” its reckless energy convince you to surrender immediately. Norwegian free jazz and free improvisation pioneer, sax player Frode Gjerstad, is a role model and a kind of Spiritual father for many young Norwegian improvisers. The Monkey Plot trio - guitarist Winther, bass player Nergaard and drummer Jan Martin Gismervik, known from the Wolfram trio and the Platform quartet - all three play together in the art-rock group Karokh - is no exception. 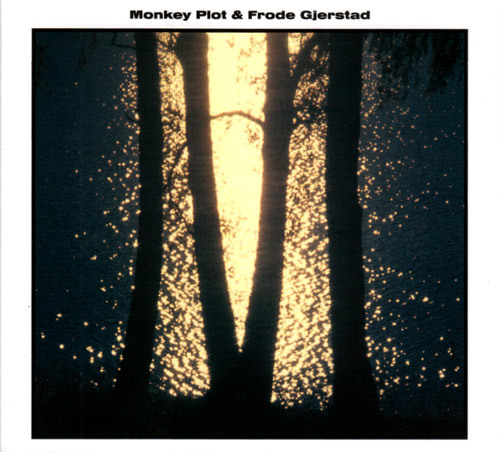 This free improvising trio recorded its debut album of Monkey Plot (Løv og lette vimpler, Gigafon, 2013) in Gjerstad's living room in Stavanger on May 2012. 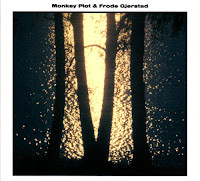 Gjerstad liked the intimate, sparse sound of Monkey Plot, so different from the loud and tough sound of his own trio, that he immediately asked to play with them. The opportunity came at the 2014 edition All Ears festival in Oslo and later at the Cafe OTO in London. The recording is from a rehearsal before the performance in Cafe OTO. The five pieces sketch a loose, searching interplay that focuses on exploring and expanding the sonic palettes of each of the acoustic instruments, often with no attempt to gravitate towards any theme or dramatic elements. This kind of quiet interplay suggests an organic flow of fleeting sonic images but with no attachment to any of these images, enabling all four musicians to get lost in it. Gjerstad's subtle playing, with soft breathes and quiet blows, fits perfectly into the trio contemplative, ethereal mode. Wisely and patiently, Gjerstad's presence intensifies the gentle sonic commotion, beginning with “Capstone”, that engages with a weird kind of playfulness, continuing with the tense, tight interplay of “Denouement”, and concluding with the slow-cooking ebb and flow of “Celebration”.